Irish author Roddy Doyle is often heralded for his snappy dialogue and humor, but his literary greatness comes from routinely providing readers with a heartbreaking kick in the gut alongside. This rough juxtaposition grounds his working-class Dublin stories in the hard-scrabble world he knows so well: days full of work and disappointment, as well as the humor and love needed to see them through. Despite it all, Doyle seems to say, there’s still a bit of hope. 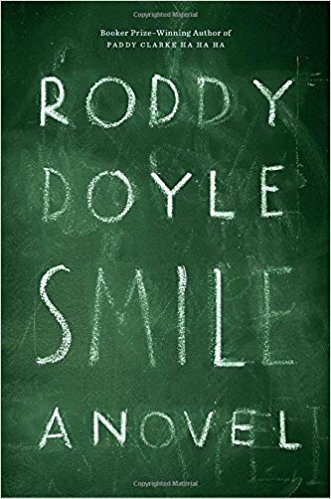 Not so in Doyle’s latest novel, Smile, which has a whiplash ending so tragic and unexpected reading it feels like being knocked to the ground by your own mother: a startling and tragic turn that changes the way you see everything that came before. Some memories are lost to age, but others fade from force, from suppression. And when they come rearing back, unguarded, in the middle of the night, well – there’s not much to smile about then. While not the cheeriest of reads, Smile is a game-changing novel from one of the greats.